Zippers haven’t changed much since they were first invented, and neither have the problems we all have with them. 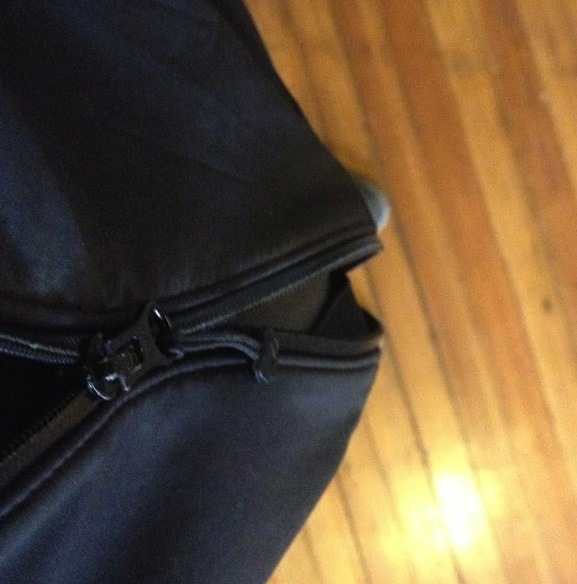 Have you ever had a jacket or a bag that was ruined because the zipper broke? The humble zipper really is an amazing invention when you think about it, and its mechanics have pretty much stayed the same. It’s no wonder why zipper are used on so many things. So what happens when they break? Well, you could try to find someone to repair it but quite often people are deterred by the cost and the hassle. But the good news is that you can fix it yourself and it’s actually really easy! 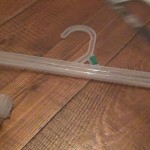 UCAN Zippers USA posted a YouTube video showing us this incredibly simple money-saving trick to fix your broken zipper. Don’t forget to share this trick with your friends so they too can breathe new life into their forgotten favorite jackets and purses! From stuck zippers to teeth that just won’t clinch, here’s how to fix all the problems you’ll run into with anything that zips. When your zipper is stuck it feels like it’s getting caught on something. The zipper might not come down at all, and until you fix it you’re stuck inside your jacket. The best way to fix this? Grab a graphite pencil and rub the pencil tip on the teeth. Try it again and it should work. If that doesn’t work, it’s time to move on to a lubricant. 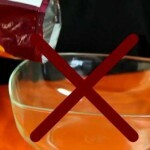 Windex is good because it’s not oil-based, but you can also use bar soap, or lip balm. Start with the zipper all the way up, and slowly apply the the lubricant to the teeth. Then inch the zipper down some more, reapply, and continue doing that until the zipper comes all the way down. 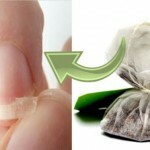 This is especially handy to fix a zipper stuck in the fabric itself. One of the most annoying problems with a zipper is when the teeth won’t close. The problem comes from a few different reasons. 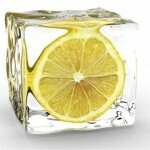 Sometimes the above trick of using a pencil (or a bar of soap) will smooth out the teeth enough so they’ll work again. If that doesn’t work, the slider might not be working properly. First, double-check to make sure a piece of cloth or thread isn’t stuck in the zipper. Next, look at the individual teeth. If any of them are sticking out, grab a pair of pliers and move them back into place so they’re all straight. If the teeth are straight, and clean, take a look at the slider itself. Over time, the slider starts to come apart, and when that happens it stops clinching the zipper teeth together. Grab some pliers and try closing the slider together until it catches the teeth again. As for jeans, the solution is a little more complicated. If you can, you need to remove the metal bumper at the bottom and replace it with a stitches, or just tie it off in the middle if teeth are missing at the bottom. Unfortunately, this only really works with pants where you can actually get to the bottom bumper. If that fails, or you’re working with pants where you can’t get to the entire zipper run, you might need to replace the zipper completely. While you can do it yourself with some pliers, scissors, and thread, replacing the zipper on a pair of pants is only around $5-$10 at most tailors. 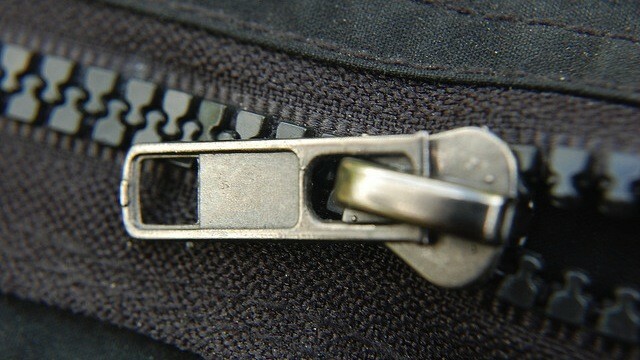 A common problem with pants zippers is a zipper that won’t stay up. This can lead to all types of embarrassing situations. Unfortunately, you can’t really fix this problem permanently unless you completely replace the zipper. That said, you have two simple temporary fixes. 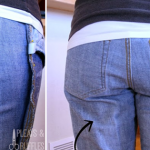 The easiest is to slide a key ring through the zipper pull and over your pants button. This keeps the zipper up in a simple way. If you’d prefer a little more flexibility, you can also try a rubber band. When the pull breaks off a zipper it makes it incredibly hard to zip the zipper up. The good news is that this is pretty much the easiest fix out there. 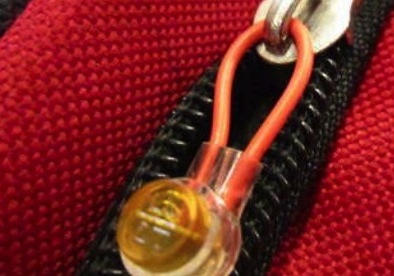 You can turn a paperclip, a key ring, or even a telephone wire connector into a zipper pull. Just slide it through the tab on the slider and you have a new zipper pull. Sure, it’s not exactly the most stylish solution, but at least you’ll be able to get in and out of your clothes. 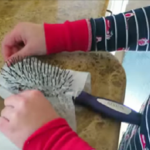 She Put Her Pants On Inside Out And Then Did THIS To Them! Problem Fixed!